Ornate Snowflake Brushes Pack - Free Photoshop Brushes at Brusheezy! Let it snow, let it snow! Even if your neck of the woods doesn't feel very wintery and doesn't get any snowfall, you can still enjoy the best of the season with this Ornate Snowflake Brushes Pack! Included in this winter brush pack are nine different beautifully intricate snowflake brushes that will add an elegant seasonal touch to any project. You'll love the vector pack, too! 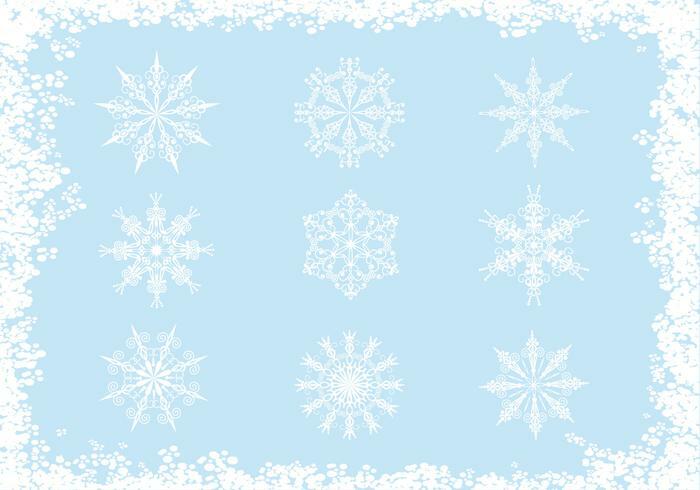 Download the <a href="http://www.vecteezy.com/holiday-seasonal/53354-ornate-snowflake-vector-pack/premium">Ornate Snowflake Vector Pack</a> over on Vecteezy before the season ends!